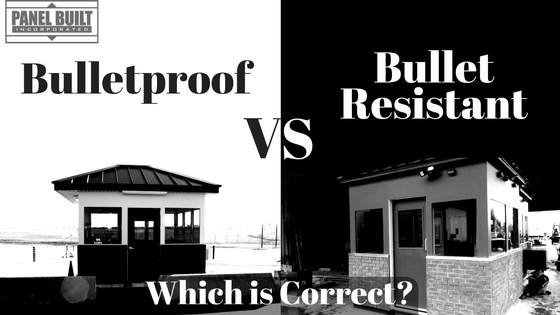 Bulletproof vs Bullet Resistant Guard Booths: Which is Correct? 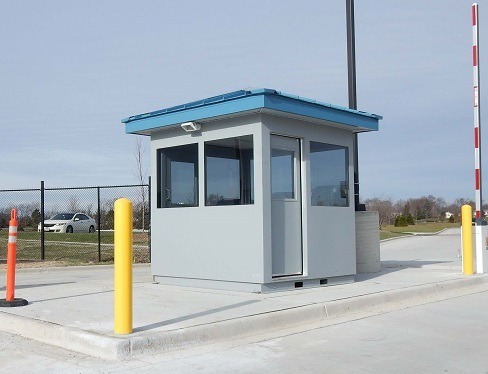 Bulletproof and bullet resistant are two terms that are thrown around a lot in the prefabricated guard booth industry, and sometimes they are even used interchangeably. However, these two terms do have slightly different, separate meanings, and understanding the difference between the two is very important because these terms are typically used in defining the effectiveness of safety equipment, products or structures. With many variables going into what is truly bullet proof or bullet resistant, and the varying types of ammo calibers, these types of phrases can eventually become bogged down and can start to lose meaning. However, over years of misuse, bulletproof is more commonly used in place of bullet resistant which is typically the more accurate term. The reason for this mistake is that very few structures and buildings can be created to be 100% fully capable of stopping every bullet. Ammo comes in many different calibers that can allow them to penetrate further into a subject by focusing the largest amount of momentum into the small amount of area. And, theoretically, a bullet with a high enough momentum, concentrated in a small enough area, could render any structure non-bulletproof. Get A Quote on a Ballistic Rated Guard House! A less frequently used, but the more accurate term for these structures would probably be bullet resistant. This phrase, as you can imagine, refers to an object or structures ability to resist and/or absorb the impact of a bullet. Besides all of the reasons listed above, bullet resistant is often times the preferred term because it comes with bullet resistant levels that are defined by the NIJ (National Institute of Justice) and UL (Underwriters Laboratory). The NIJ levels of bullet resistance go from Level I –Level IV with the full chart shown below. 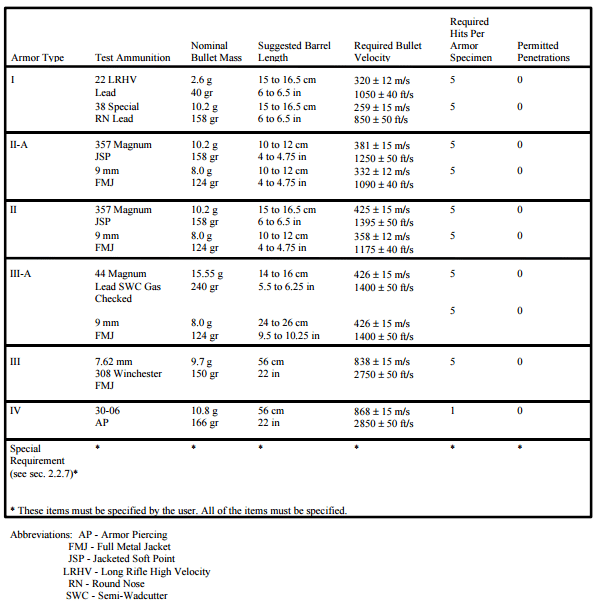 As you can see, the level system takes into account the type of round, the caliber of the round, the bullet’s velocity, and the number of hit per “armor specimen.” Similar to the NIJ system, UL levels take into account the specific ammunition caliber, the ammo’s weight, velocity and the number of shots, but UL has eight levels instead of just four. This standardization of bullet resistance levels allows for manufacturers and buyers to have a better understanding of the protection a product will offer. Plus, the manufacturer will be able to test their materials and structures to ensure they are up to code, and the customer will know exactly the level of protection for which they are paying. Overall, specifying the difference between bulletproof and bullet resistance is important because the term bulletproof, in most cases, is a bit of a misnomer. Given enough momentum in a small enough point and enough ammo, very few things are actually bulletproof. Therefore, the term bullet resistant, and the defined levels of bullet resistance provides an accurate description of the materials and structure. 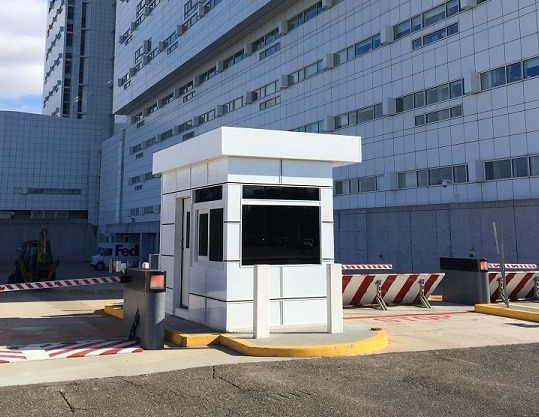 Panel Built’s bullet resistant guard booths provide excellent added protection for facilities that have a higher than normal threat level. These ballistic structures can be manufactured to meet NIJ and UL ballistic levels, including building material, windows, and doors. Currently, our ballistic rated buildings are helping provide protection to military bases, forts, airports, and transportation hubs across the United States. Panel Built, Inc. is a GSA contractor holder (#: GS-07F-0186X) as a small business, offering modular storage solutions to government agencies at the best quality and best price our industry has to offer. We hope this blog post has provided you with a most solid understanding of the differences between “bulletproof” and bullet resistance so that you may make a more informed and accurate buying decision when looking at guard houses or any type of protective equipment in the future. If you want more information on our ballistic guard houses, you can go to our request a quote page, or you can contact our salespeople.